Dedicated to providing superior engineering services that meet our customers' needs and exceed their expectations. SAI was responsible for the fast-track conceptual design of roadway, traffic control, signing and pavement marking and cross sections for replacement of 7.8 miles of westbound lanes of I-80 in Jefferson County. Structure preservation and eastbound overlay plans were developed by the District and incorporated in the design/build contract. 7.8 mile of rural limited-access interstate highway. 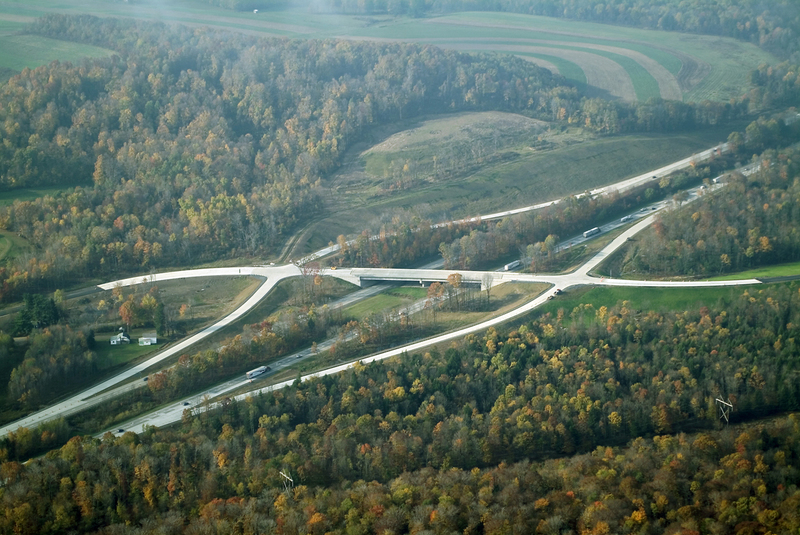 Roadway geometry needed to match all bridge elevations, airport interchange elevations, and stop start elevations while minimizing sliver fills and removing all subbase materials. Deck improvements for all associated structures were designed by the District. Project was a fast-track conceptual design with Federal oversight. Shared also plan responsibility with the District. District was responsible for the east bound overlay project which was performed in conjunction with the west bound reconstruction. West bound highway was realigned 1/2 mile to eliminate a design exception. Use of Lydar mapping supported with pavement edge survey. Traffic maintained during construction via a crossover to utilize eastbound lanes with reduction to one-lane. SAI welcomes it’s newest employee!